ON THE WAY: Montgomery, Ala.
Apart from the usual beauty of a historic capitol city, Montgomery also holds some of the most important Civil Rights Movement landmarks in our country. The main north/south street running through downtown is Decatur, which is one block west of the Capitol and crosses Dexter Ave., home of the famous Dexter Avenue (now) King Memorial Baptist Church, where the great man was twentieth pastor. The site has been a church since 1879, and Dr. King directed the Montgomery Bus Boycott from his office there. I was overwhelmed to attend Rosa Park’s funeral here before she was honored at a ceremony in Washington DC. 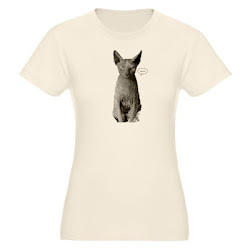 There is now a museum on the site as well. One block south of Dexter is Washington Avenue, where you can see the Civil Rights Memorial and visit the attached center. The Memorial was designed by Maya Lin, and honors those who died during the Civil Rights Movement (the years between the Brown v. Board decision in 1954 and Dr. King's assassination in 1968). Visiting the memorial is free; admission to the center is $2 for adults. Just north of the Capitol a couple of blocks is Oakwood Cemetery, where Hank Williams Sr. and his wife Audrey are buried. If you have time, and want some really good Caribbean food, continue south on Decatur and head west on Martin Luther King Jr. Expressway. Cross over I-65 and continue west on Day St. Turn left on Air Base Blvd and you'll see Island Delight. If you have less time, continue south on Decatur, and the road becomes Norman Bridge (you'll pass by Alabama State University). On the left in the Old Cloverdale neighborhood you'll find Derk's Filet and Vine. 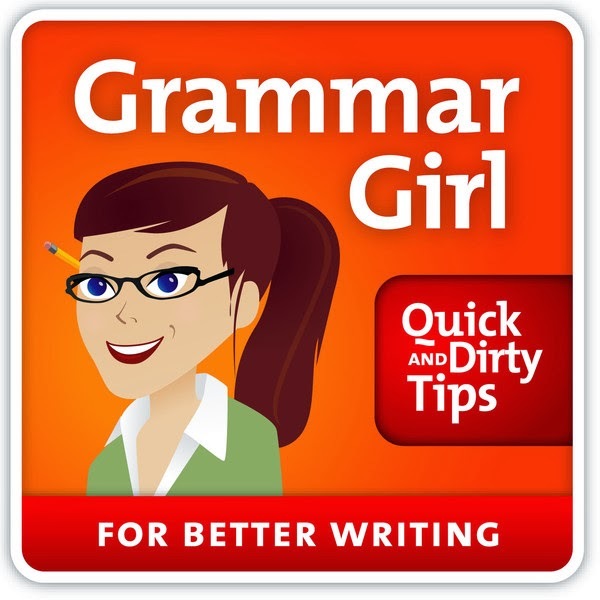 Grammar Girl is another podcast I started listening to years ago whose offerings have grown into a whole website of useful tips on everything from managing your money to grooming your dog. Grammar Girl Mignon Fogarty makes learning about grammar fun enough for my kids to enjoy it; I swear, it's not just for grammar dorks like me. 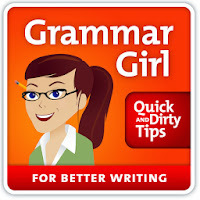 You can also vote for Grammar Girl in the Education category for this year's Podcast Awards. East Coast, schmeast coast. If you want great fall color, look to the South, specifically somewhere like Cheaha State Park in northeastern Alabama. 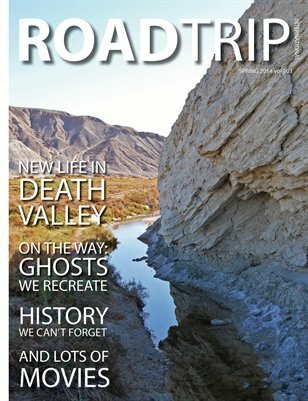 Check out all the fun and beauty in the latest issue. Cheaha is in the Talladega National Forest, and, as part of the Appalachian Mountain foothills, is the highest point in Alabama. Conveniently located, and incredibly gorgeous, Cheaha is a jewel Alabama parks has really taken advantage of fully. There are numerous trails, and a handy Fall Color Report on the park website for tracking where to catch the best leaves. The photos in the main story here are from the Odum Scout Hiking Trail, but the whole area is beautiful. Other trails access a lake for swimming, waterfalls, mountain biking, and there’s an observation tower at the highest point in the park. All manner of camping accommodations, a restaurant and gift shop are also sprinkled throughout the park. There is a $3 day-use fee ($1 for seniors) for some areas of the park. Cheaha is very dog friendly, and even has cabins dog owners can rent for an additional charge. I can't wait until the National Parks Service figures out it's better to be dog-friendly and charge/fine instead of trying to ban pets that are going to be brought along anyway. While you are checking the Fall Color Report and activities on the Alabama Parks website, make sure you check the park history section of the site for some amazing archival film footage and photos from the 1930s. Cheaha State Park is located between Birmingham, Ala., and Atlanta, Ga., on Interstate 20 (I-20), and about 90 miles north of Montgomery, Ala., on Highway 231 (US-231). From either Birmingham or Atlanta, take exit 191 and turn south on Highway 431 (US-431). Take the Highway 281 (US-281) access road and watch for the Cheaha Resort State Park exits. From Montgomery, there are two ways to go. 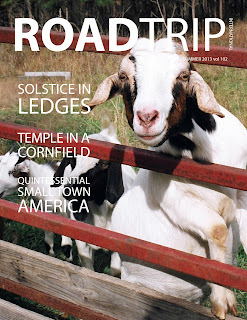 The probably shorter way, and the way that takes you past the cemeteries, lake, goats and funny church signs in this issue (ok, the goats were hilarious too). I’m telling you my way: Take US-231 north to Sylacauga and turn right into Talladega National Forest (State 148). State 7 will take you north from there to Cheaha by way of Clairmont Springs Road and Talladega Scenic Highway. If you are interested in the shorter way see the Cheaha website.